Check into Chaya in Mexico City at 3pm and you’ll still be welcomed with a shot of mezcal. Made from the agave plant, the 40 per cent spirit has a distinctive smoky flavour and is usually chased by a slice of orange – and worm salt. If you’re after a hip boutique hotel, Chaya is most certainly it. 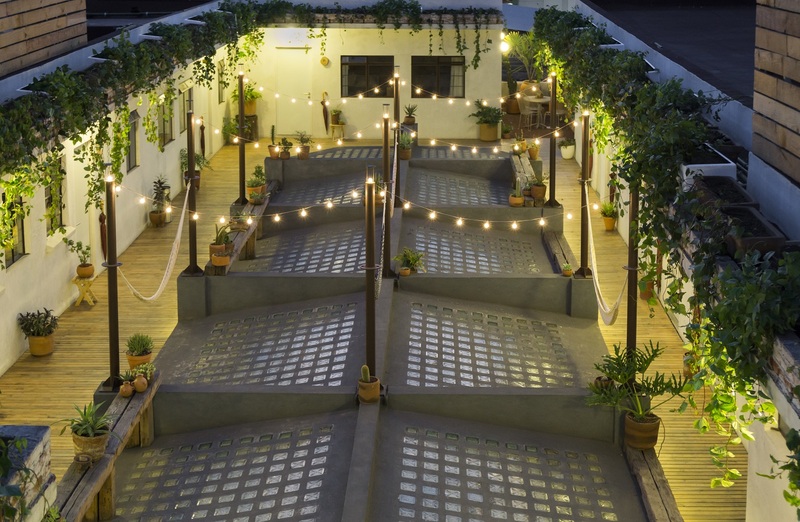 Set on the third floor of a renovated 1920s art deco building, it features original windows and tiles and overlooks Alameda Park – one of downtown Mexico City’s most desirable postcodes. As there’s no lift, on the way up you’ll pass an on-trend burger joint, tattoo parlour, yoga studio and Mexican wrestling shop. 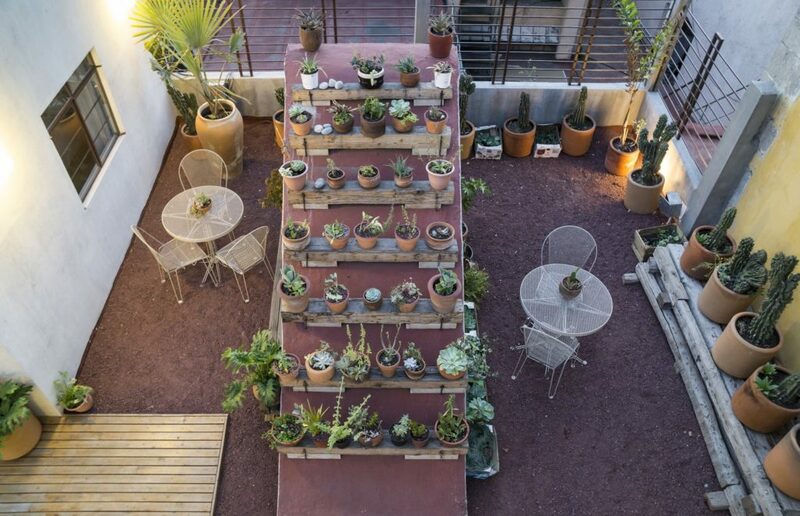 Chaya is named after a type of plant, and cheese plants, cacti and hanging plants are everywhere on its roof terrace and throughout its 11 rooms. I stayed in room number two, the master suite, which has views of the park. At 42sqm, it’s bigger than most one-bedroom flats. 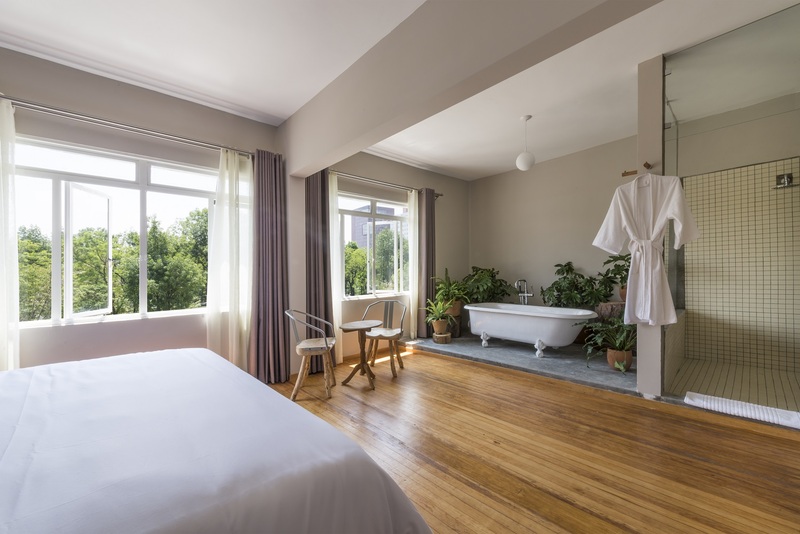 As well as a king size bed, it features a walk-in shower and a free-standing bath surrounded by more plants; the candles and bath salts are a nice touch. No wonder the Lord of the Rings actor Elijah Wood chose to sleep here when he stayed in 2016. Breakfast is included, so you can mingle with fellow guests at a communal table as you wake up over a mug of coffee from Chiapas. 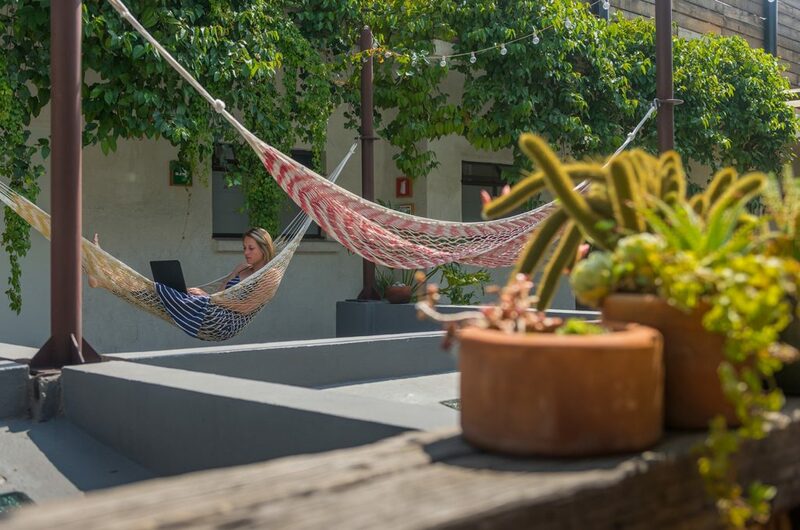 Alternatively, you’ll fit right in if you play around on your laptop on the leather sofa in the small lounge or chill out in one of the hammocks on the rooftop terrace. 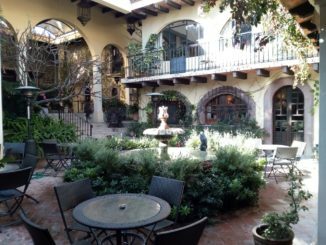 By day, the terrace has closeup views of the adjacent San Diego church, a former convent which is now home to experimental art. By night, it’s illuminated with fairy lights. 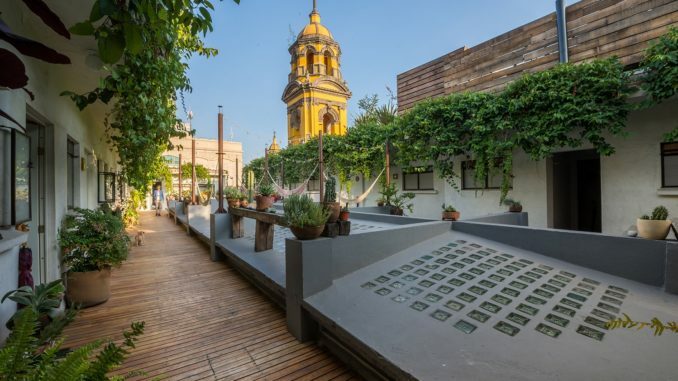 If you’re in the mood to be social you can also check out La Azotea de Barrio, a rooftop restaurant one floor above Chaya. It’s the place to come for grasshoppers, ceviche, tuna tostadas and yes, more mezcal. Chaya Bed and Breakfast Boutique, Doctor Mora #9, Barrio Alameda´s 3rd Floor, Col. Centro, Del. Cuauhtémoc, C.P 06050, México City, Mexico. Located right in the heart of Mexico City with bars and restaurants close by. 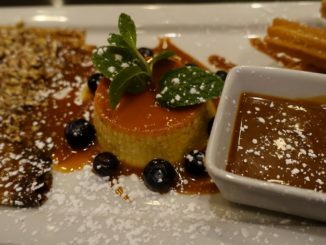 Zocalo, the city’s main square is a 12-minute walk away. You’ll find the hotel on a pedestrianised path on the west side of Alameda Park. 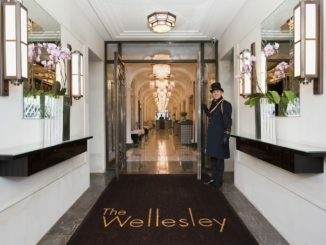 Number of Rooms: 11 rooms including complimentary Wi-Fi. Insider Tip: Don’t miss Museo de Arte Popular, a huge modern museum 10 minutes’ walk from Chaya. It’s dedicated to folk art and crafts including traditional dress, puppets and Day of the Dead Catrina skeletons.